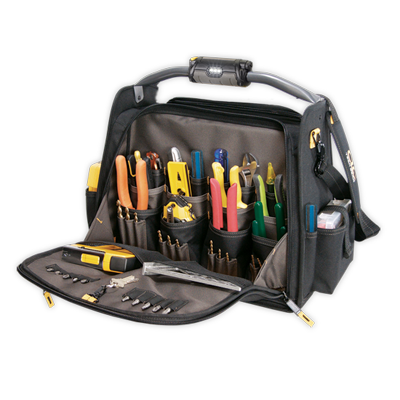 Features a compartment designed for power tools and another compartment designed with pockets for hand tools and accessories. 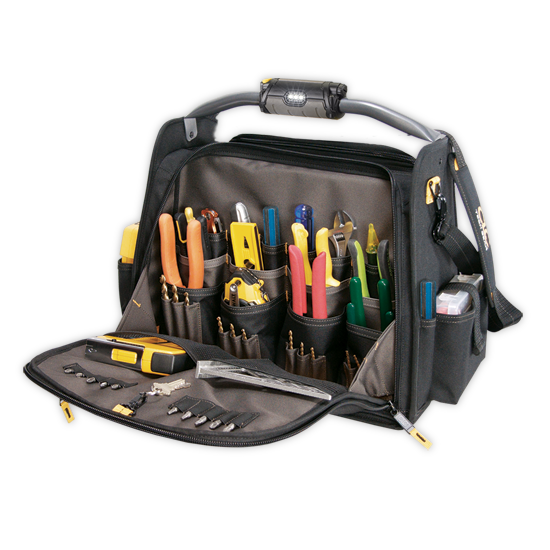 42 multi-use pockets inside and 14 outside to help organize a wide variety of hand tools. 7" x 5 ½“ Multi-compartment plastic tray included. Approx. 18"L x 10"W x 13"H.